The selection of images here feature highlights of the project. To see more of William Rogers’ work, visit his Web site. 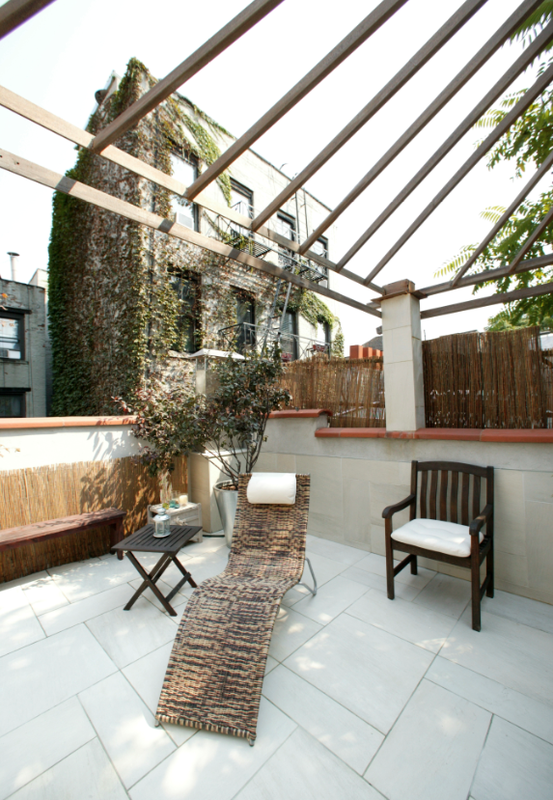 Photographs Courtesy William Rogers Architect. 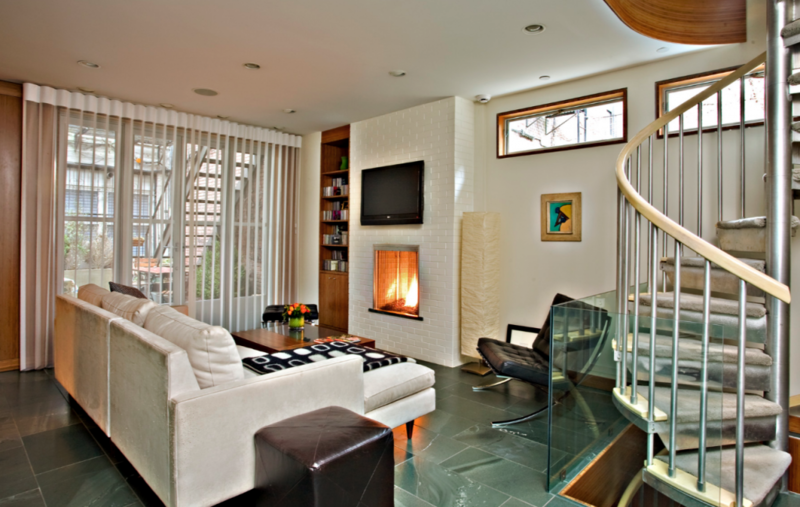 The living room opens onto the home’s secret garden in back. 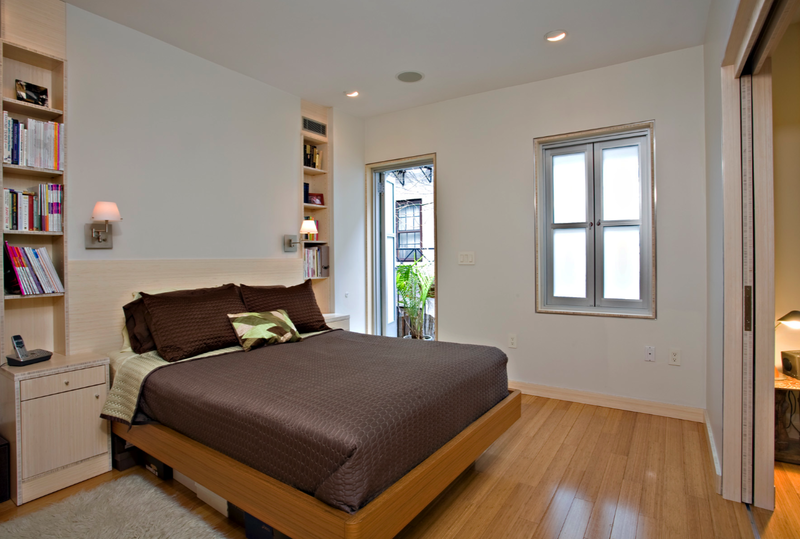 The master bedroom on the top floor opens onto the rooftop terrace. 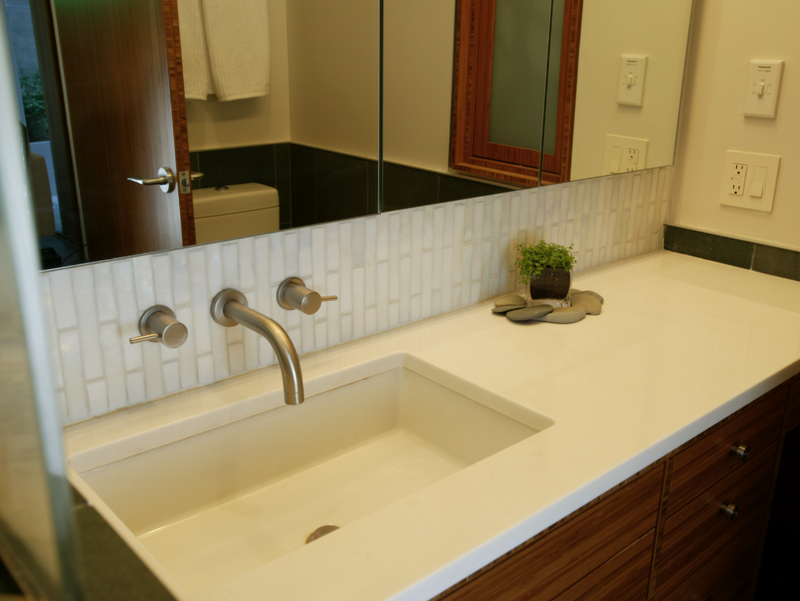 A guest bath features bamboo cabinets. “In keeping with our natural theme we changed colors subtly as we ascended each floor. While the lower floors were more “earthen” – with dark stone floors and dark stained bamboo cabinetry, we lightened with each story. 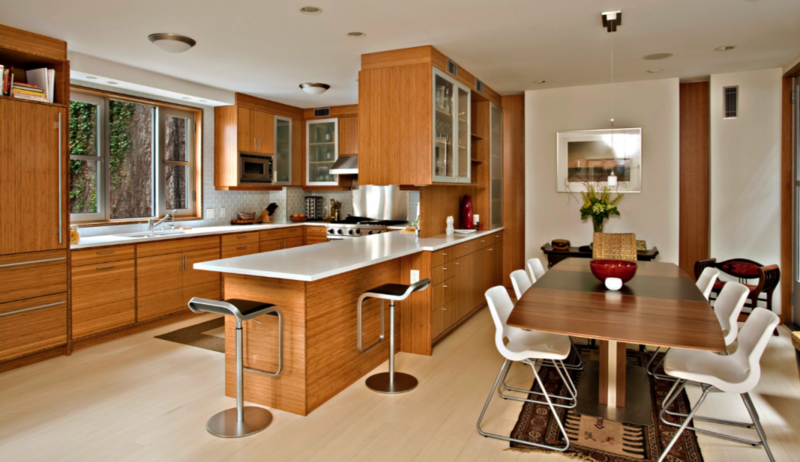 On the top interior level the floors, doors, moldings and cabinetry are all bleached bamboo,” says William Rogers. 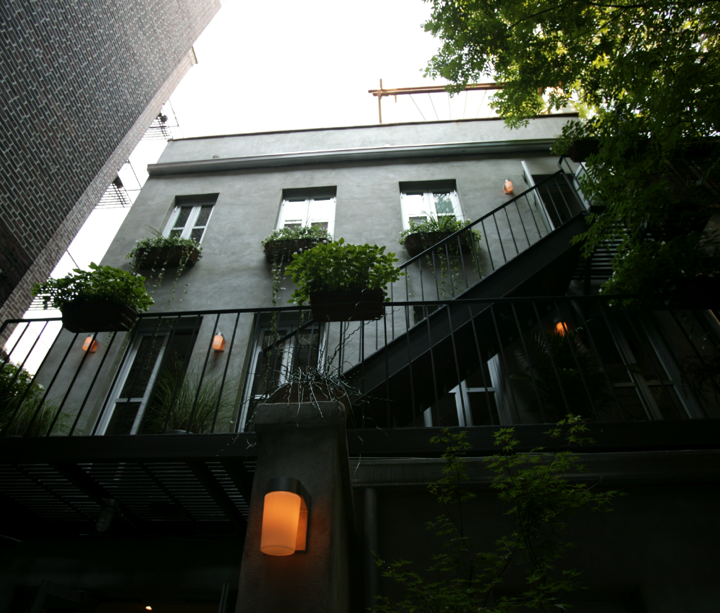 A view of the entry of the townhouse from the garden, looking up. “The walls are stucco coated, which has a high insulation factor while still ‘breathing’ naturally and releasing condensation, which might penetrate the wall,” says the architect.